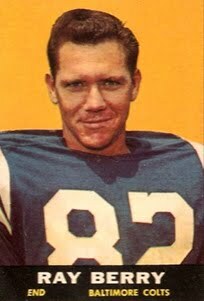 Tom Greene played for the 1960 Patriots and the 1961 Dallas Texans. 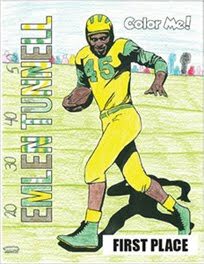 “Fifty years ago, football great Emlen Tunnell (Radnor High School, class of 1942), became the first African American to be inducted into the National Football League’s Hall of Fame. Today, the NFL draft returns to Philadelphia, a short ride from Emlen’s home. How amazed he might be at the incredible growth in popularity of the sport he played for 14 seasons and coached until his untimely death in 1975. 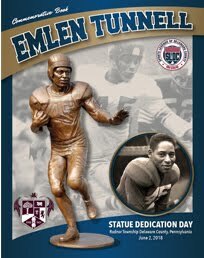 “Baseball was king when Emlen became the first African American to play for the New York football Giants in 1948. Football was not quite at the point of having 200,000 fans turn out for a draft celebration. His first contract was for $5,000, with a $500 signing bonus. Can you imagine what kind of salary this perennial All-Pro would command in 2017? 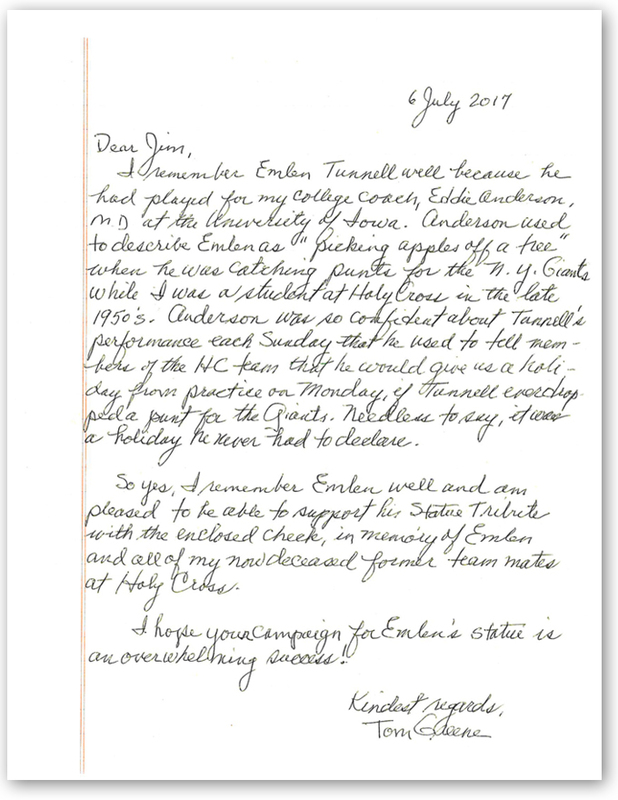 “Before playing in the NFL, Emlen Tunnell served his country during World War II and twice performed heroic acts, saving shipmates’ lives. “The Sports Legends of Delaware County museum wants America to remember and honor this great man. 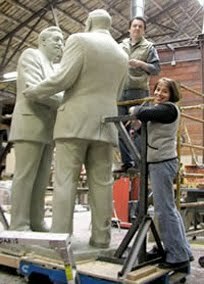 We are raising funds to create a 7-foot bronze statue of Emlen. He deserves much more. 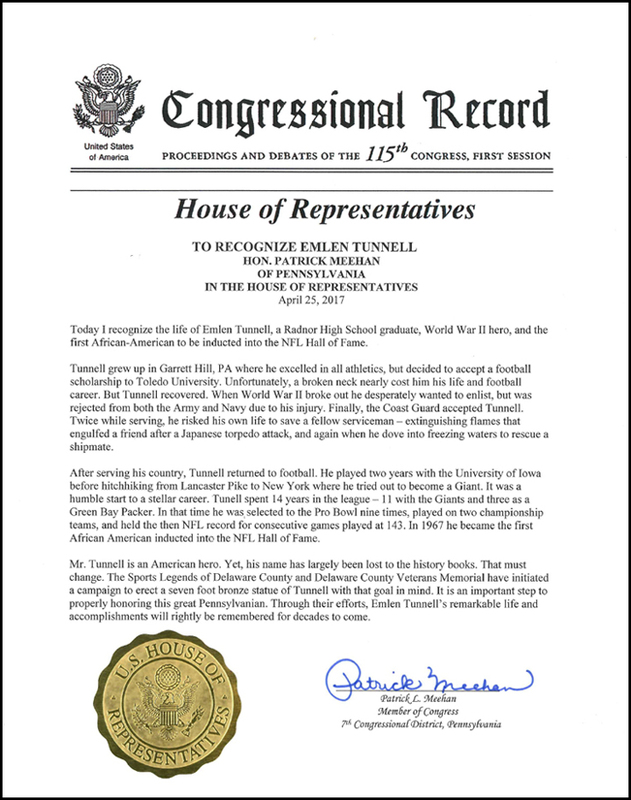 He represents the best of our National Football League and the best of our citizens.